Keep your clean and dirty items separate in one bag that has two completely individual compartments. Both sections are waterproof and close with a high quality zipper. Outer pocket opens out and allows for expanded storage. A convenient snap handle makes the bag easy to carry around and attach to a stroller, hook or door knob. Perfect for carrying messy baby items, trips to the beach/swimming or the gym. A true necessity for daytime outings with cloth diapers. 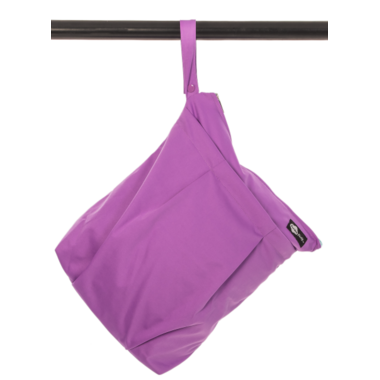 Funky Fluff Double Pocket Wet Bag also functions very well for transporting cloth diapers to and from daycare.